Have you ever wished you knew the people who live in refurbished lofts in LA's Fashion District? We certainly have and it turns out we actually do know someone: Malice Munro skated with us for a bit in Vienna before she went on to greater things and the Angel City Derby Girls. Thanks to her (and Herr Zac! ), we got to spend our one night in LA with wonderful people and a very friendly cat in a prime location. 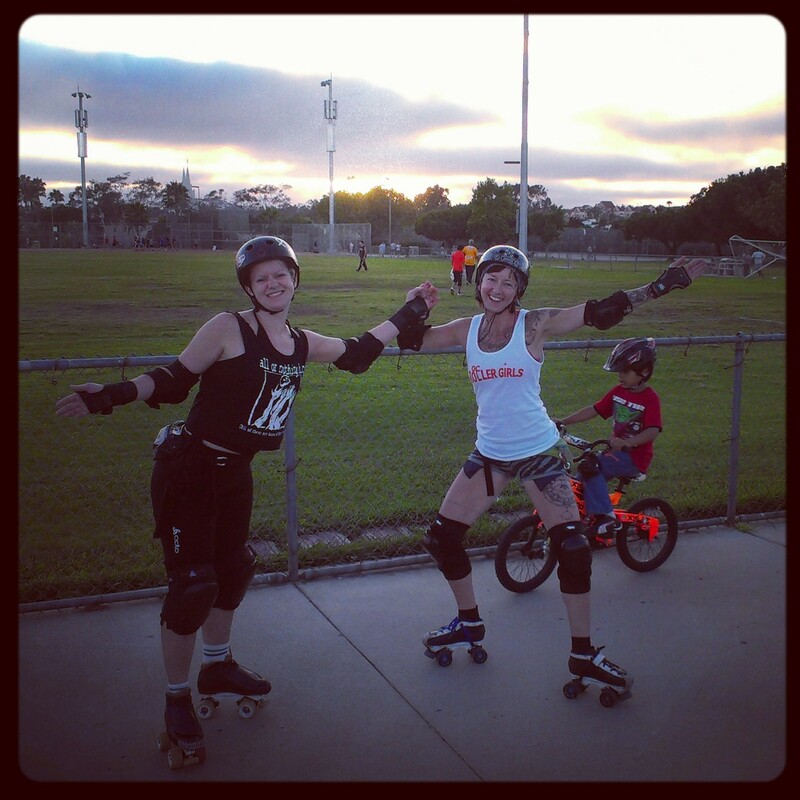 We made our LA experience complete by hitting rush hour traffic on the way to Sta Ana where we were heading to practice with the Orange County Roller Girls. Our great friend Tease, who visited us in Vienna, had put this great team on the map for us and the notion of skating on a banked track into our heads. So, guess what, the world isn't flat! We were initially somewhat intimidated by the fact that the upper rim on the banked track was higher than we expected. Luckily, though, things were a little easier than they had looked once we got up on the track. 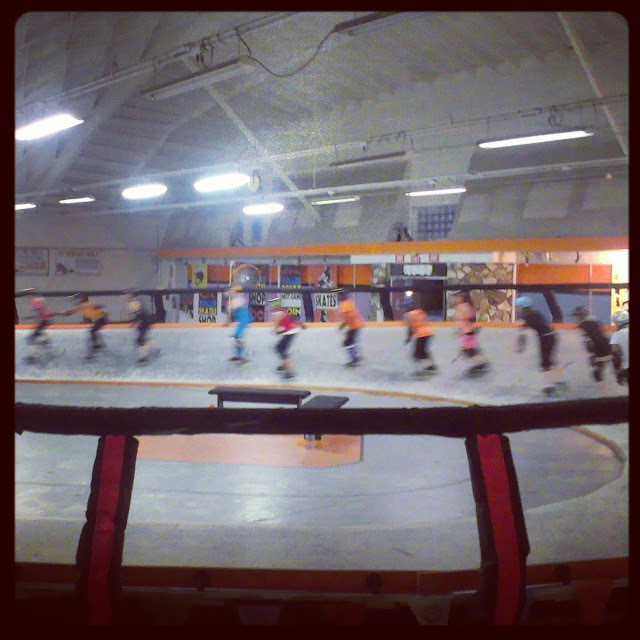 The OC Roller Girls "Fresh Squeeze" (that name alone would make us want to be a new skater there!) were very patient in walking us through the basics of life on the banks and it only took about 10 minutes before we felt like we really never wanted to get off the track again. Skating "with" the track was as fun as skating against it was tough on our muscles. So, if anyone in Europe feels like building a banked track, please know that we'd definitely be in line to be allowed to skate on it! So, life was already pretty much a beach before we hit the beach towns of Southern California: The gigantic Pacific Ocean, white sand, palm trees, and surfboard-under-arm pedestrians instantly put us in a hang-loose state of mind. We headed south to San Diego where some of Anktion's fondest childhood memories are rooted and got to stay in that same neighborhood with Judy who instantly became a great friend to all of us. She guided us around San Diego and was even able to recommend Doyle Park for a sunset round of skating on the first night. As the SoCal Roller Girls themselves phrased it, we "saved the best for last" and joined their practice on our last night in the States. 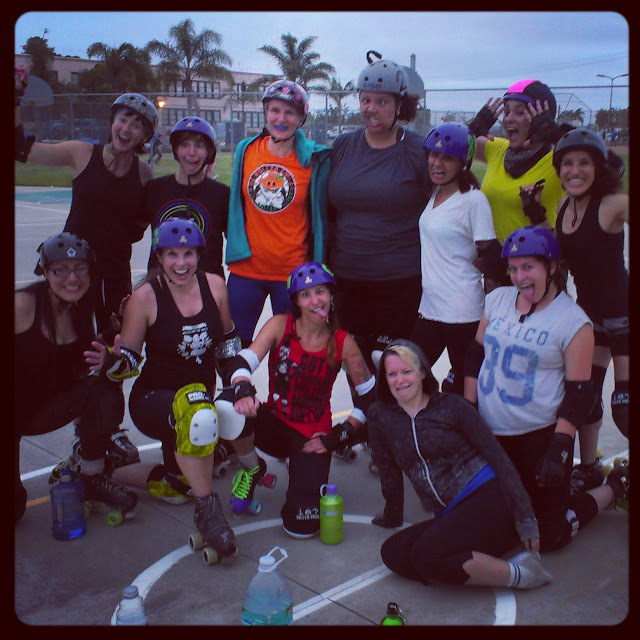 It turns out that playing roller derby outside with a great group of women in southern San Diego really is a great way to finish off our kind of road trip.